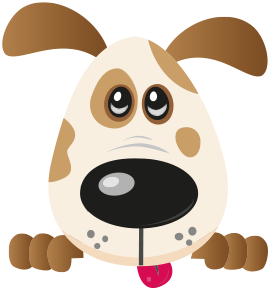 Our Doggie Daycare centres provide an expansive space filled with fun and love! We welcome dogs of all ages, shapes, sizes and breeds. The centres are fully secure, providing a large outdoor and indoor space. Your dog will be supervised by highly trained staff who strive to exercise your dog’s body and mind through play, rest and socialising with other furry friends. Each centre is divided into play zones to suit every dog’s personality from the chill out zone to the activity zone. We have the right environment to keep all dog mentally stimulated, happy and entertained. This unique environment allows dogs to interact as part of a social group. This is great for allowing young dogs to socialise and learn good manners but also allows mature dogs to enjoy canine companionship. Each day at Four Paws is different offering all dogs the choice to join in agility games, paddling pool fun, play cubes, sand digging and much more!! Should your dog need to rest and relax after playful exercise, Four Paws provides a variety of sofas and raised pet beds for your dog to chill and wind down on. The choice is theirs so each dog can play and pause at a pace to suit them. Each dog is assessed prior to attending daycare using the unique Four Paws induction process. This ensures your dog is suitable and will thrive from the environment. We look forward to your dog joining the Four Paws family.